At WWDC 2016, Apple unveiled a brand new font which was called San Francisco. The font went on to become the default font in macOS and iOS, replacing Helvetica (which replaced Lucida Sans). On watchOS, a special Compact variant of San Francisco, was used. Later, Apple introduced yet another variant, a monospaced variant, which I think simply looks fantastic – especially on a high-resolution display like the MacBook. It has gone and replaced my previous favourite monospace font, Anonymous Pro. Weirdly enough, the fonts are not available for selection in macOS, you just can’t use San Francisco for editing a document in Pages, for example. Currently, though, the standard and Compact versions of San Francisco is available on Apple’s developer portal, but unfortunately the monospaced version is not. 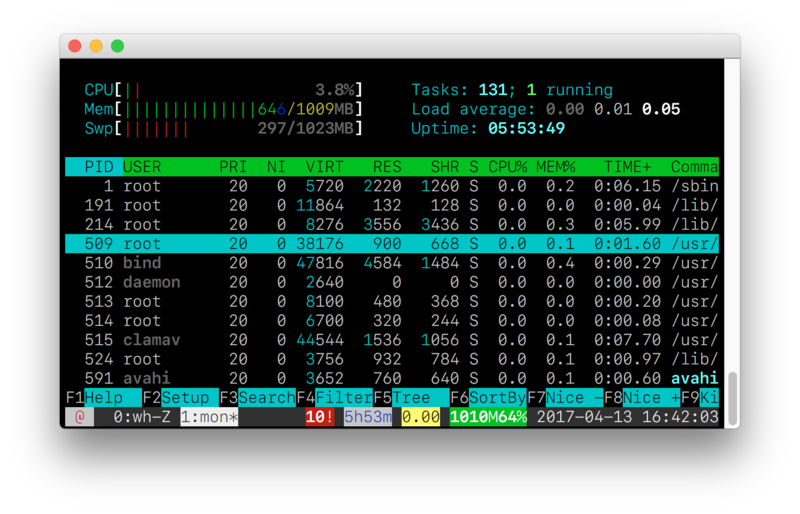 Fortunately, if you have macOS Sierra, the version is included inside the Terminal.app in macOS. You’ll see a list of fonts in the folder. Select all of the fonts in the folder. A window will pop-up previewing the font. Click Install Font. You’ll perhaps get a window that says there’s problems with the fonts. I did too. This entry was posted on Thursday, April 13th, 2017 at 17:21 and is filed under Articles. You can follow any responses to this entry through the RSS 2.0 feed. You can leave a response, or trackback from your own site. Thanks Simon! I found SF Mono in my Terminal this morning, liked it, and your tutorial helped me to use it in MacVim. Appreciate it. Note that on High Sierra 10.13 (and possibly other versions) you get “serious error” if you try to install the fonts directly from this folder. Copy the fonts to your desktop first and install from there. Thanks for the tip. The SF fonts are designed for on-screen viewing so Apple hid them from you in any application where you could possibly print a document in the SF font. Thanks man, I wanted this for Android Studio. That Menlo font is too fat. P.S. It works when installing from another folder, like sushpa user described. Upon installing the font, does it work with Microsoft Word for Mac 2016? I can confirm it works with Word for Mac. 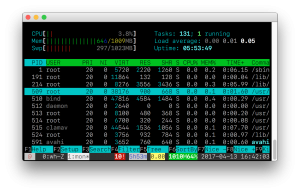 What is that Activity Monitor-style terminal process you’re running in the first image? Nice font, may replace my long-time favorite, Menlo.